I received the complimentary book set for this review. I love reading! Something about getting lost in a good book. I love mysteries, and romance and something that has some action or characters that just draw you in. I think that is why I love Dystopian, or end of the world, style novels so much as they usually have a little bit of everything. If you are looking for a good Dystopian novel to read, I have not only one but Eleven recommendations today! 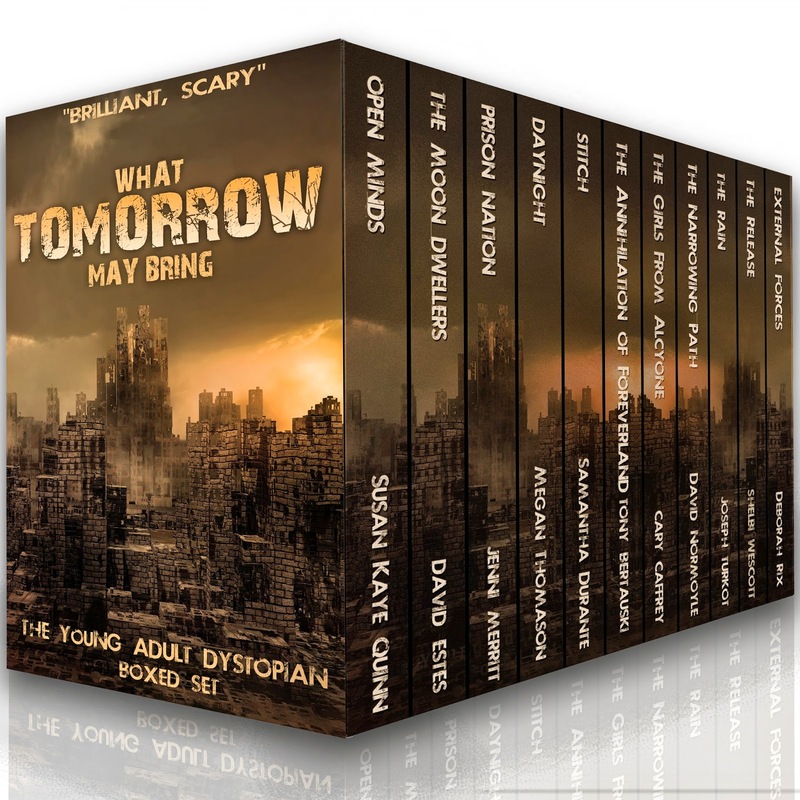 Eleven different authors came together to make this awesome boxed set called What Tomorrow May Bring of their Dystopian Novels. These aren't just little teasers but TEN FULL Length books and one sample book. Follow 11 authors into 11 dystopian tomorrows, where the dark portions of our humanity have taken hold of today, where the fabric of society is torn and greed consumes us all. Follow us down a dark path. And find out what tomorrow may bring. So far, I have only read Daynight by Megan Thomason, you can see my review here, which I loved and it was Megan who contacted me about this great set so I trust her that these are all great books that I will enjoy. Now you are thinking box set = lots of money, while that is often true, it is not the case this time. The kindle version of this entire boxed set is currently only $2.99. Definitely head over and get it. Now the tricky part will be finding time to read all these books! Disclaimer: I received a complimentary set of this boxed set in exchange for an honest review. Oh, that's a great deal! I'll have to check this out!